Positive thinking has always been the key to unlocking a person’s true potential and talent. It allows you to tap into the powers inside of you that you would never have imagined exist. The idea of learning this book can help you succeed in all areas of life and easily cover the cost of this book. 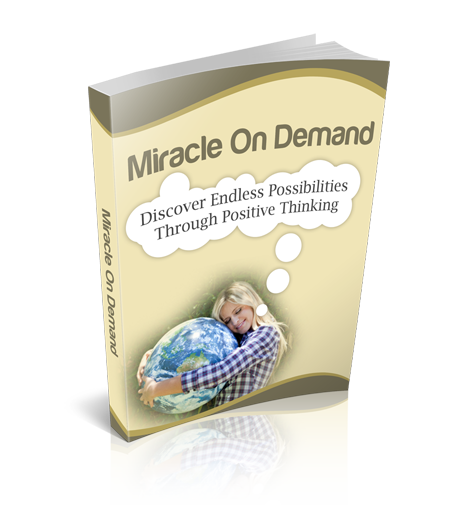 You will learn how to make yourself a role model to others by following guides in Miracle on Demand. Besides, you’ll be given tools and techniques how to stay positive and act according to what you think is right. The ideas and words of wisdom from this positive thinking manual will help you to change your life and empower you in ways like never before!